Watch out for more newsletters in the future! 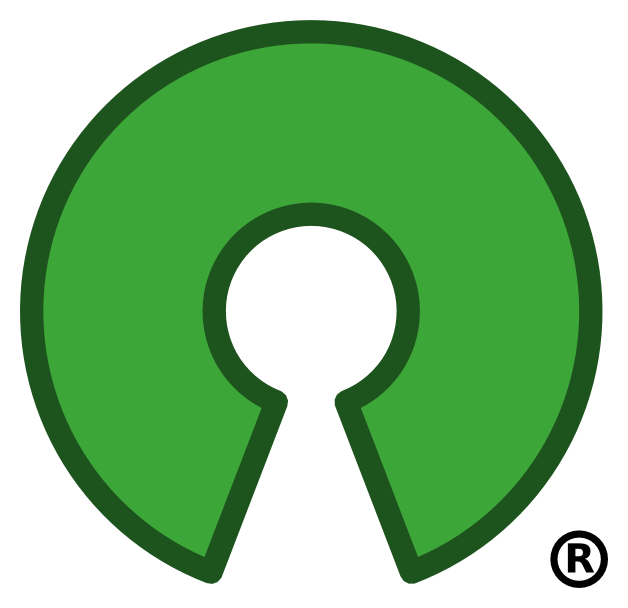 The next newsletter will feature in detail the second round of deployment of E-Paatis (OLPC XO) laptops in Nepal. If you wish to subscribe to the newsletter, please email newsletter@olenepal.org. Blogging from the Global OLE Assembly in Kathmandu, Nepal â€“ Richard Rowe, founder of the Open Learning Exchange, puts a lot of emphasis on the need for social entrepreneurs in developing countries to catalyze a transformation in their schools. In each country where OLE is established, you will find a social entrepreneur leading the local OLE Center, bringing novel learning approaches into schools, and working with their government to scale up those innovations proven to improve childrenâ€™s access to quality education. In Nepal, as elsewhere, if educational technology is used at all, it is usually targeted more at institutions of higher learning. Its use in primary schools is negligible, Rabi said. He acknowledged that technology is only a means and not an end â€“ then he cited some of his own â€œends.â€ They are as sweeping as improving the quality of education and reducing the dramatic inequality between one childâ€™s access to education and anotherâ€™s. They are also as intensely practical as enabling teachers to professionally develop and collaborate with each other to improve childrenâ€™s learning. In other discussions at the OLE Assembly he and his OLE Nepal colleagues put the magnitude of the problem in stark terms. Even in the third and fourth grades, many Nepali school children â€œreally donâ€™t know how to read,â€ they said. Over the past two years â€“ a period Nepali Director General of Education Mahashram Sharma told the Assembly had been â€œremarkableâ€ â€“ OLE Nepal has distributed 2,000 laptops to teachers and students in 26 schools in six districts and trained 125 teachers. OLE Nepal has developed content and learning activities that can be used whether a student is online, on a computer that is offline, or simply on paper. The Center works closely with Nepalâ€™s Curriculum Development Center to align the content with government standards. In addition to such learning activities as games that teach pronunciation or addition, the Center has been making Nepali language literature available online â€“ often for the very first time. 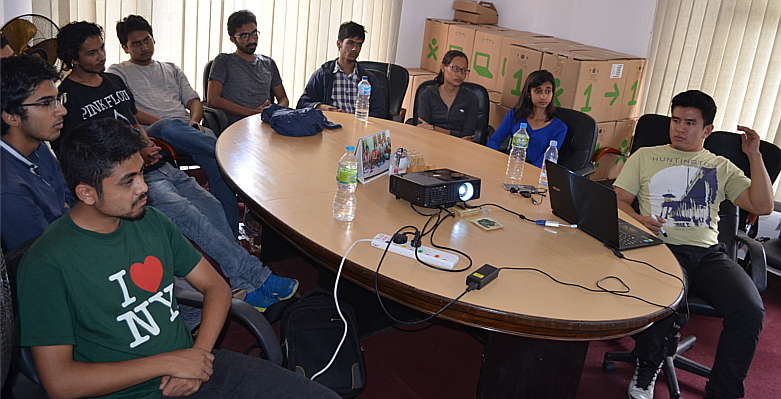 â€œContent is at the core of all the work we do,â€ as Rabi often says, and the current global trend toward free and open educational software and content is key to enabling OLE Nepal to do its work. The fact is that with 6.5 million primary school children in Nepal, buying 6.5 million software licenses â€œwould be beyond what we could afford,â€ he said. By contrast, once OLE Nepal makes a learning activity or text available in its digital library, it is freely available to anyone who has the means to access it. Even as he speaks of millions, though, Rabi says OLE Nepal has a very phased approach. â€œWe cannot massively deploy from the start.â€ The focus so far has been on grades 2, 3, and 6. Curriculum development and content aggregation in OLE Nepalâ€™s digital library have primarily targeted literature (to develop a reading culture in the children), art, Nepali, English, math, and teaching support materials, such as lesson plans. Interesting to note: Among the guidelines to teachers is often the advice that laptops should not dominate a lesson, but perhaps take only 20 minutes out of a 45-minute session. Teacher training is another emphasis of OLE Nepalâ€™s work, and the Center has been working with the Department of Education to train educators to teach in a new way. As described by Dr. Prativa Pandey, chair of OLE Nepalâ€™s board of directors, the idea is to rely on teachers to drive education but empower students to engage in self learning as well. The kind of creativity this fosters in children is exactly what the nation of Nepal needs to build a future generation of entrepreneurs and leaders, she said. Partnerships have been critical to OLE Nepalâ€™s progress. In addition to its partners in the Nepal government, OLE Nepal has been strongly supported by the Danish Government and has also begun working with such partners as the World Food Programme. Internet access by the schools is made possible in part through a wireless network put up by Nepal Wireless entrepreneur Mahabir Pun. Where does it all lead? Evaluation visits to schools began in September and will take place again in February-March, with a report expected in autumn 2010. With the documentation of the merits of OLE Nepalâ€™s approach in hand, the Center and the government will decide whether and how this novel approach has improved studentsâ€™ chances of getting a quality education â€“ and whether the innovations that OLE Nepal has introduced into some schools and districts should be expanded to many more. Early indications are coming in from teachers, who are asking to continue and expand their use of the program. Whatâ€™s more, there are signs from the students themselves, Dr. Pandey said. On two visits to a local school â€“ one when laptops were first in use and another six months later â€“ she saw a marked increase in studentsâ€™ confidence, she said. And this is the kind of confidence that leads to a higher level of learning, with children thinking for themselves and becoming more creative. Even Nepalis living overseas are weighing in. Technicians tracking the online use of the OLE Nepal library and learning activities have found that many in the global diaspora are using the Nepali content to teach their children as well. Visit OLE Nepalâ€™s digital library, E-Library (E-Pustakalaya), at www.pustakalaya.org. Visit OLE Internationalâ€™s homepage at www.ole.org. The Open Learning Exchange (OLE), an emerging global network dedicated to educating the worldâ€™s children, is holding its first meeting of educational innovators from across the developing world in Kathmandu on November 2 to 7, hosted by OLE Nepal. Among those attending have been Mahashram Sharma (Director General of Department of Education); Lawa Dev Awasthi (Joint Secretary of Nepalâ€™s Ministry of Education); Haribol Khanal (Executive Director of Nepalâ€™s Curriculum Development Center); Prativa Pandey (Chairperson of the Board of Directors of OLE Nepal and Chair of the opening session); Richard Rowe (Founder and CEO of OLE International) and members of his team; Kedar Bhakta Mathema (Former Vice Chancellor of Tribhuvan University and the Chief of the advisory board of OLE Nepal); Rabi Karmacharya (Executive Director of OLE Nepal) and members of his team; and representatives from OLE Centers and partners in Bolivia, the Dominican Republic, Rwanda, and other countries in Africa, Asia, Europe, Latin America, and North America. Kathmandu, Nepal â€“ The opening sessions of the first Open Learning Exchange Global Assembly took place on November 2 at the Everest Hotel in Kathmandu, Nepal. Among those in attendance were Mahashram Sharma (Director General of Department of Education); Lawa Dev Awasthi (Joint Secretary of Nepalâ€™s Ministry of Education); Haribol Khanal (Executive Director of Nepalâ€™s Curriculum Development Center); Prativa Pandey (Chairperson of the Board of Directors of OLE Nepal and Chair of the opening session); Richard Rowe (Founder and CEO of OLE International) and members of his team; Kedar Bhakta Mathema (Former Vice Chancellor of Tribhuvan University and the Chief of the advisory board of OLE Nepal); Rabi Karmacharya (Executive Director of OLE Nepal) and members of his team; and the representatives from the various OLE Centers around the world participating in the conference. The first session began with the ceremonial lighting of the panas by the chief guest, Education Director General Mahashram Sharma. OLE Nepalâ€™s Executive Director Rabi Karmacharya then delivered his welcome remarks. He highlighted the significance of education for â€œsustainable development, a vibrant economy, an equitable and just society, lasting peace, communal harmony, and international understanding.â€ He also spoke of the unique opportunity that this global assembly provides for collaboration on education endeavors and for mutual learning between the participants in order to truly tackle the challenges we all face in fostering responsible, skilled, and educated citizens of the world. He expressed pride in Nepal being chosen as the venue for the first OLE global assembly, in recognition of the achievements that have been made by the OLE Center here. He emphasized the importance of viewing â€œtechnology as a means, but not an end in itself,â€ adding that the project in Nepal is not just a computer project but an attempt to use technology in the teaching-learning process to deliver quality education, making content creation and teacher training indispensable parts of the entire process. Finally he reasserted his belief that we can ensure each child quality basic education. â€œAmbitious? Yes. But not impossible,â€ he concluded. Director General Mahashram Sharma welcomed the participants of the conference on behalf of the Government of Nepalâ€™s Ministry of Education and the Department of Education. He spoke of the close working relationship that OLE Nepal and the Government of Nepal have established in implementing the project here in Nepal. He commended OLE Nepalâ€™s efforts in creating child friendly learning materials and in teacher preparation and training to nurture â€œcreative, knowledgeable, and skillful citizens.â€ He also highlighted the very significant â€œparadigm shiftâ€ that this project has triggered, in the role of teachers changing from â€œinstructorsâ€ to â€œfacilitators,â€ allowing for more self learning and creative growth among school children. Open Learning Exchange International Founder Richard Rowe highlighted that there is much that can be learned from OLE Nepal, which he believes is emblematic of the model that is being implemented in other countries with OLE Centers. Within this model, three factors are instrumental in making a project like this successful, all of which OLE Nepal has been able to put together: leadership by a social entrepreneur, a committed and supportive board of directors, and a strong relationship with the local government, which is necessary to achieve educational transformation on a large scale. He stressed that OLE Nepal and its partners have shown that universal basic education can be achieved. Open Learning Exchangeâ€™s goal is to have 100 centers established worldwide following this model by the year 2015. Rowe also briefly spoke about what OLE does for its centers: helping new centers implement funding; building tools, such as the Billion Kids Library, that are freely available for use by all the centers; and enabling a global exchange of knowledge and experience among OLE Centers. He highlighted that the Assembly can act as a forum for the centers from around the world to discuss how they might use the Open Learning Exchange as a resource, what they can contributed to it, and how they would like to see it evolve. On the first day, the Assembly focused on the need to create content and help teachers with their professional development as laptops and handheld devices are being increasingly used by teachers and students in developing countries. â€œContent is at the core of all the work we do,â€ said OLE Nepalâ€™s Rabi Karmacharya. He cited as examples OLE Nepalâ€™s rollout of new Nepali-language learning tools for primary school mathematics and its close collaboration with the Ministry of Education on teacher training. Among the presentations from other countries, OLE Rwanda director Jacques Murinda described his centerâ€™s work to localize content from South Africa and digitally distribute it in Rwanda â€“ whether for use on paper, on laptop, or on a handheld device. YamandÃº Ploskonka, head of OLE Bolivia, spoke of his centerâ€™s work to translate educational materials into Aymara, a widely used indigenous language. OLE Nepal (www.olenepal.org)Â is non-governmental social benefit organisation that has been working in partnership with the Government of Nepal to develop high-quality interactive digital learning materials, maintain a web-based education focused library for students and teachers, build the Nepali governmentâ€™s capacity to independently develop, enhance, and maintain ICT-based teaching-learning materials at the primary and secondary school levels, and implement a plan to provide universal access to primary school level ICT-based teaching-learning materials by 2015. OLE International (www.ole.org) helps connect and equip social entrepreneurs in OLE Centers around the world, enabling them to demonstrate educational innovations, document their effectiveness, and work with governments to scale them to reach all children. It is a US social benefit organization, based in Boston, Massachusetts.